It has been raining all day but I won't complain. I planted my fall garden yesterday so it is a "good thing" and I have had a nice long nap. Falling into a deep sleep from the sound of the rain was wonderful. Some call a rainy, wet, day a nasty day. I never see it that way. Everyday is a good day when you are free from the chains of nicotine. Even with the rain we still have to continue on with our lives. I see it as a day to use an umbrella or raincoat for added protection. Like quitting smoking we have to do what is necessary to protect our quit. When I think about my quit, I am proud that no matter what challenges life brings I know deep down in that sacred place that I do not "have" to smoke. I never used the word struggle in my quit. I have always considered it a challenge that was/is doable. My challenges with quitting smoking may not have seemed as difficult as others. That may have been due to the fact I was relentless when the challenges came I would use self talk and tell myself that "No Matter What" I was not going to smoke. That seemed to have lessened the difficulty for me. However the work, determination and commitment to NOPE created a sacred place inside of me that I will protect, first and foremost. NOPE no matter what is going on I will not smoke. That sacred place reminds me never ever forget, NEF what it has taken me to get here. I do not want to minimize the strength, determination, and commitment it takes to make the necessary changes but being willing can make it a lot easier. If you are having a hard time with the challenges of staying smoke free remember everything that you go through is worth it and you will not die. Do everything, by any means necessary not to smoke and you will create a sacred place inside of you. That sacred place will not allow you to give up. Take your umbrella and protect your quit (sacred place) with NOPE....not one puff ever no matter and you will have a better life overall whether it rains or shines. Hang tough, be willing, stay close, be mindful, don't give in or up, protect your sacred place. What a powerful blog, Jackie! I love you! You mean so much to this community. Thank you, love you back. 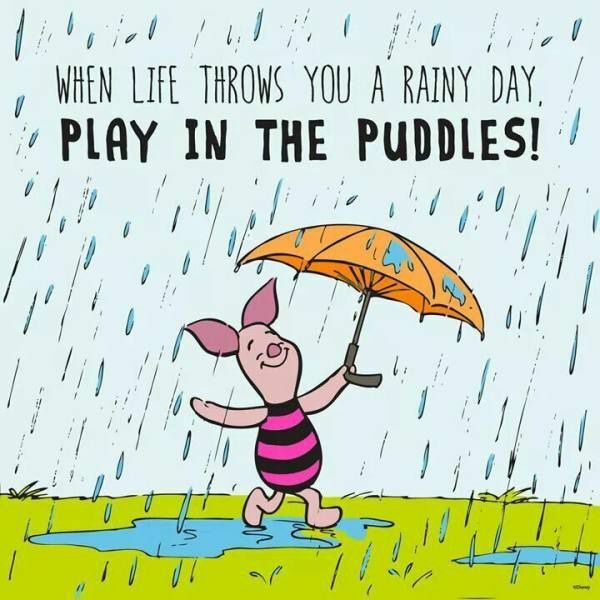 Your blog resonates with me thanks Jackie and we love rainy days too. I like the way you call it your sacred place . I remember struggling a bit in the beginning but not to much and I think what made it easier and successful for me this time was having all the support and advice from the elders..... what a difference it made for me ! Plus I really had come to that point where I wanted to be free much more than I wanted to smoke ! It took me a long time to get to this point, way to long .My only regret is in not quitting long ago . Thanks for another great blog Buddy ! If we want it bad enough it's not a struggle. We do what needs to be done to achieve our ends. You make the commitment & honor it. I have to agree with Barbara. My life depends on quitting but it is a huge struggle! Especially this 2nd month. My idea was to change my thinking. I can do this, no matter how hard it gets. Once I told the addiction it was wasting it's time to be gone it got easier. A relief that brought a smile. Connie you can and are and will succeed. Really good blog Jackie, we all have to apply the knowledge for it to work its magic....no matter how much time we have on our quit. I will be working this quit until I take my last breath. Fantastic blog by a fantastic lady! It helps me to remember, "This too shall pass", whenever I do have a craving. NOPE! is YUP! Nice wisdom blog. Well the rain is headed my way now - but I won't complain either. Hope you have a good day and thanks for sharing your wisdom! Another great one Jackie - always to calm and soothing! Saying - "challenge that was/is doable" - Perfect! Thank you so much Jackie, so much wisdom in one small blog! Newbies, and all of us are greatly benefiting from you sharing your thoughts with us, thanks! JACKIE1-25-15 Really lovely blog and reminder of all that we would lose if we smoked.